Country music singer-songwriter Ryan Hurd's new “Diamonds or Twine” music video gives fans a closer look at his romance with Maren Morris. Watch it here! 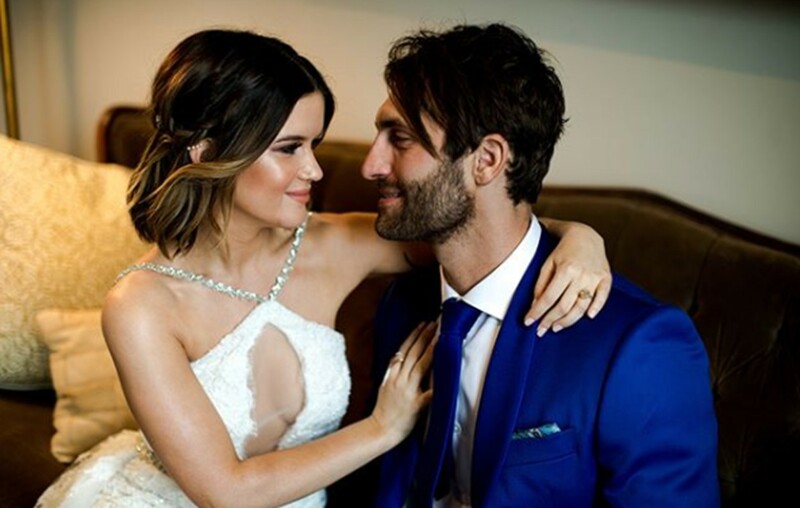 Country music artist Ryan Hurd has gifted fans with an intimate view of his life with now wife, Maren Morris, through his new official music video for “Diamonds or Twine.” The video features never-before-seen footage of Hurd and Morris at his family’s lake house in Michigan where he proposed, backstage at Red Rocks Ampitheatre before Morris’ tour date with Sam Hunt, pre-show at Ascend Amphitheatre in Nashville for Hurd’s show with Thomas Rhett, and outtakes of life on and off the road. Watch the music video below! The day before the country couple tied the knot in March, Hurd released “Diamonds or Twine” as a wedding gift for his bride-to-be, debuting the song with SiriusXM The Highway. Hurd first played the soulful love track, which he co-penned with Laura Veltz and Mark Trussell, for Morris the night he popped the question in Michigan last summer. However, unbeknownst to Morris, the “Love In A Bar” singer-songwriter secretly recorded the track with long-time producer, Aaron Essuis, as a gift to celebrate their wedding weekend. Hurd is currently in the studio working on his debut album which is expected later this year. Share this song with others who would appreciate it! © 2019 MobSoc Media LLC. All Rights Reserved. Are you sure you want to stop following this entry? *We will not share your personal information or publish content without your permission. Kane Brown and Wife Katelyn Jae Are Expecting A Baby! Brett Young and Wife Taylor are Expecting a Baby!